I’m probably not using the term right but I might as well call this an alpha version of Shuffle Breaker. I’ve made a few more adjustments including fixing how the player drops the puck onto the playing field, and allowing for a delayed start of sorts so that you’re not immediately thrust into the action. 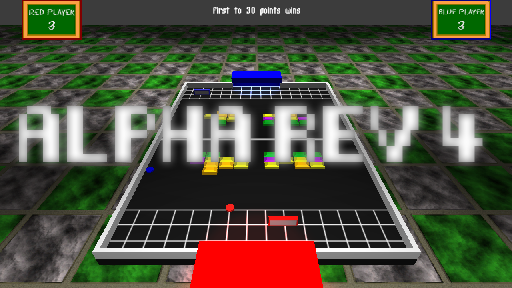 This is however the 4th revision of the Alpha Phase, hence the Rev 4. You can download the alpha version here. I do recommend reading the README file for control information. So my hiatus became a bit longer than I thought. There’s a few reasons for it and it’s not like i didn’t do any work, but I am planning to have something up and possibly downloadable regarding Shuffle Breaker this week. That said, let’s talk about the Nintendo 3DS. Despite Nintendo’s financial woes regarding the WiiU, the 3DS is still going pretty strong which is good for me since over the last year I got into it big time, playing a lot of the big Nintendo releases as well as some sports stuff like Pro Evolution Soccer 2012. But I’m not talking about those today. A couple weeks back (or so) Nintendo did a Nintendo Direct where they announced (to the confusion of many I’m sure), a free-to-play Multiplayer submarine combat game called Steel Diver: Sub Wars. Not only was this not related by gameplay to the Steel Diver that had been a 3DS launch title, but the idea of Nintendo releasing an online multiplayer anything surely seemed odd.